I served this mimosa at father’s day brunch. It was so good, everyone gave thumbs up. Well worth the effort invested in freshly squeezed juices. Look at the blush at the bottom of Champaign flute and the radiant hue, Sunrise indeed! 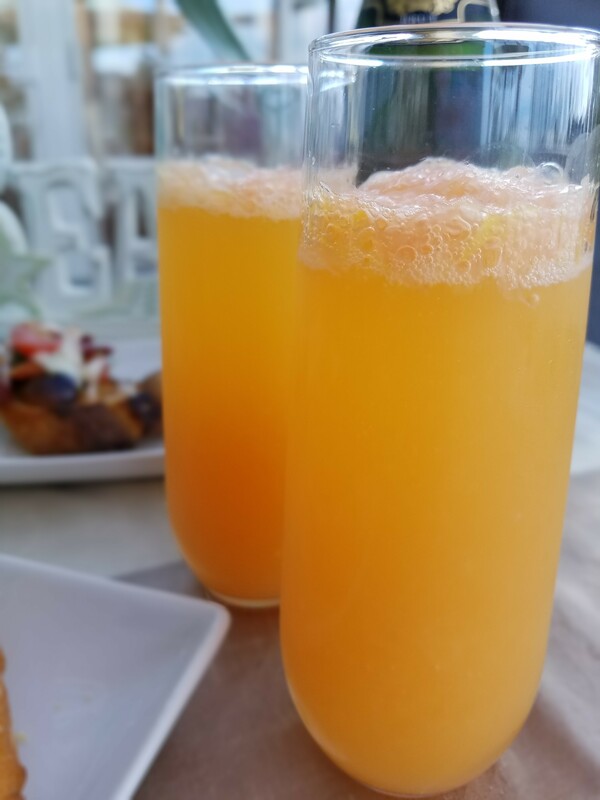 It is a cool and refreshing beverage to accompany an elegant brunch. Mix juices in a juice jug. Add grenadine 1 tsp at a time, stir well after each addition and taste for desired sweetness. 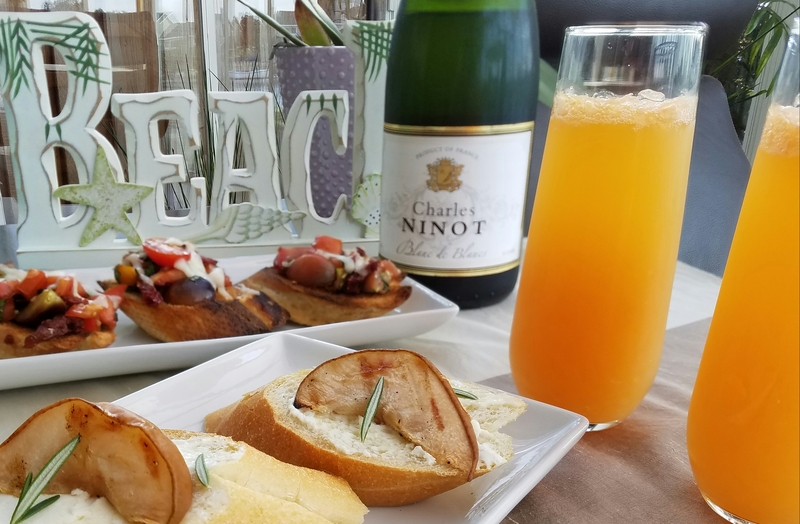 To serve, fill each Champaign flute half full with the juice mix, then fill with approximately equal amount of chilled Champaign.